According to a recent study that was deemed the most accurate ever, there has been only about a quarter of the total number of species discovered on earth. 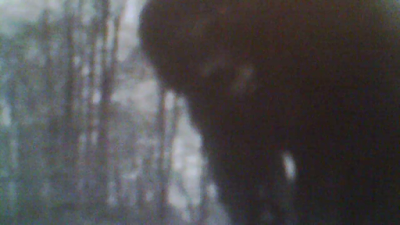 Lets take a look at some of the suggested numbers while we keep in mine our many wonderful unconfirmed cryptids. Mammals - The number of confirmed species discovered is 5,501 with an estimated undiscovered number at 200. Mammals are vertebrates, which means they have a backbone or spine. All mammals have hair on their bodies at some point and produce milk to feed their babies. Birds - The number of confirmed species is 10,064 with an estimated undiscovered number at 500. Birds are also vertebrates, have feathers and lay eggs. Reptiles - The number of confirmed species is 9,547 with an estimated undiscovered number at 2,500. Reptiles are also vertebrates, covered in scales and have lungs for breathing. Amphibians - Confirmed species is 6,771 with an estimated undiscovered number at 8,200. Amphibians are vertebrates, breather through their skin and go through metamorphosis. Recently a new frog was discovered and it is the worlds smallest frog measuring in at only 1/4 of an inch long. Fish - The confirmed number of species is 32,400 with an estimated undiscovered number at 12,500. Crustaceans - The confirmed number of species is 47,000 with an estimated undiscovered number of 100,000. The larger grouping for crustaceans is Arthropods. All insect fall into this section and all are invertebrates, meaning they do not have a backbone or skeleton but a exoskeleton. Mollusks - The confirmed species number is 85,000 with an estimated undiscovered number of 115,000. Mollusks are invertebrates. Examples are clams, snails and slugs. Arachnids - The confirmed species number is 102,248 with an estimated undiscovered number of 500,000. Of course this is one of my least favorite things ....ugh spiders. Arachnids fall under the Arthropods section. Examples include spiders, ticks, and mites. I should also mention Insects with a confirmed 1 million and 4 million estimated undiscovered. Some of these of course are really small but they are numerous. 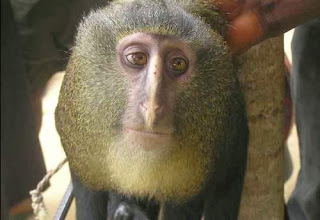 Lesula Monkey was well known to the locals but new to science. percent of the Congo is unexplored. 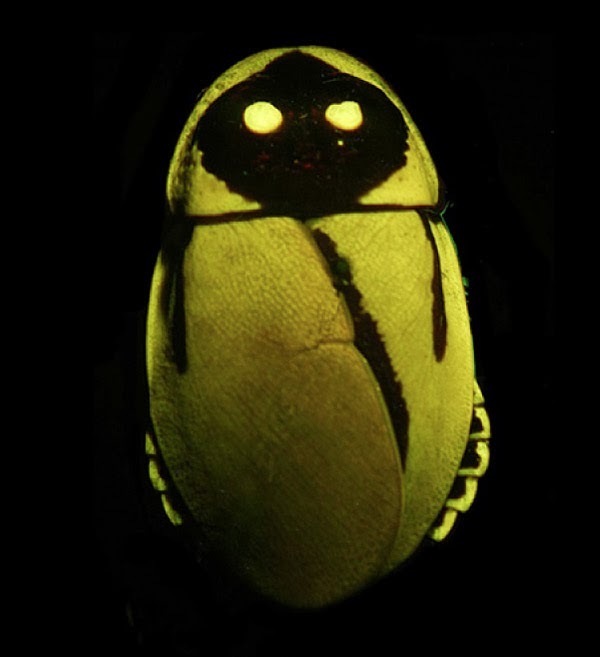 The Glow in the dark Cockroach, featured at the top of this post, is also called "lightening roach". It was discovered in early 2013. Another rather new discovery is the Leaf Chameleon. It was discovered in the jungles of Madagascar in February 2012 and is one of the world's smallest known reptiles. So with all the estimated undiscovered species one would assume all we have to do is wait and at some point, some of our favorite hidden creatures will be discovered. The field of cryptozoology has helped in the past to prove some discoveries in days gone by, so maybe one of our fellow researchers will hit the mark again.